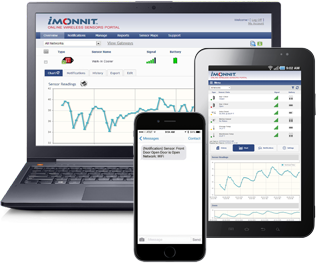 Walk-In Cooler Temperature Monitoring | Monnit Corp. Maintaining an optimal temperature in your walk-in coolers is important for keeping your food products fresh. If the temperature falls above or below the optimal range, costly spoilage can occur. Monnit has saved restaurants and food distributors hundreds of thousands of dollars in spoilage when using our low-cost, wireless temperature sensors to monitor their food coolers. Automated system tracks the property for you, without having to hire staff or do it yourself. Your reputation is extremely important - make sure to protect it. 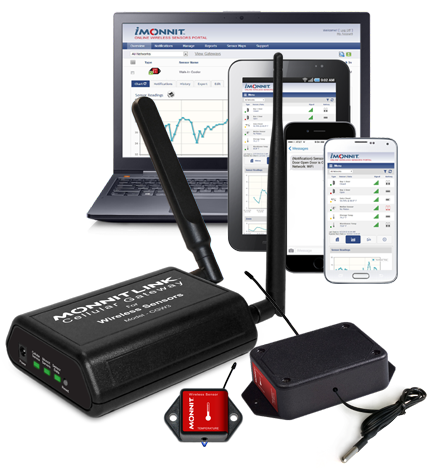 Monitor your assets 24/7 via the internet. Android and iOS apps are available free of charge.